We have a diverse talent of team members. They bring an abundance of varied experience and lead with their specialties with energy and accountability. We’re flexible and responsive, adapting our approach to meet the needs of individual assignments. As a team, we collaborate with our clients, partnering with them, to maximize results and sustainability. At ALIVE in Healthcare, our priority is to provide the best program that aligns, leverages and supports your strategy in learning and development. The Strategic Team approach is solution focused and action-oriented towards meeting the goals and objectives of an organization; taking steps towards fulfilling its mission and vision. In alignment with the philosophies of ALIVE in Healthcare, our joint purpose is to lead from humanity. Our Strategy Team of ALIVE in Healthcare is Casandra Bryant and James Voulakos. As certified professional coaches with extensive training, you can expect a very high level of competency and skill, translating to more results in a shorter period of time and expand the possibilities of success. Our coaching team includes: Liliane de Vries, James Voulakos, Casandra Bryant and Anne Hurtubise. Our facilitators are certified coaches and nurses or are individuals who have done profound work in hospital settings. They have a clear understanding of the front-line and management nursing professions. Our Nursing Leadership Circles© facilitators include: Liliane de Vries and Liz Mason. Our facilitators are certified coaches and are matched to the level of expertise to the needs of the participants. Our Leadership Circles© facilitators include: Liliane de Vries, James Voulakos and Casandra Bryant. Founder of ALIVE, Liliane’s 30+ years experience as an RPN, gave her the experience of what it meant to be a passionate nurse with strong communication skills in a fast-paced, ever-changing career. She cared for patients through some of the most challenging times with increased professional demands and significant cutbacks. The continuous personal growth in her role as a nurse – to be her best possible self and build honest and trustworthy relationships – was the foundation of her nursing career. Today she calls this Relationship-Centred Care©, where all relationships with self and other healthcare professionals demands a healthy approach to providing stellar Patient-Centred Care. Liliane, bilingual in both English and French, is a certified international coach (PCC) with the ICF (International Coach Federation), a certified coach (CPCC) with the acclaimed CTI (Coaches Training Institute), as well as a graduate of the Co-Active® Leadership Program, Her additional training at CRR Global (Centre for Right Relationship) expands her work from individuals to ‘system thinking’, in alignment with organizational missions and values. Her successes include the work with Unity Health Toronto, Providence Health Care, SCO Healthcare (Ottawa), Thunder Bay Regional Health Sciences Centre, Baycrest Geriatric Centre, Sick Children’s Hospital and RPNAO. Her specialty with Nursing Leadership Circles© has brought her work into South Africa and the USA. 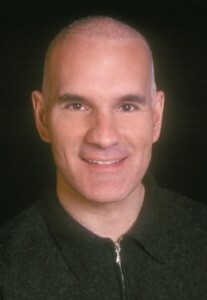 In the past 15 years, James has been a dual professional with a solid footing in academia and leadership coaching. James has completed a Master of Arts in Leadership and brings forth an in-depth knowledge in strategic mapping, organizational change, and system thinking, while aligning strategy to vision and leadership philosophies. James’ strength is in strategizing with senior leaders and their teams to help position their organizations for success in areas of organizational change, succession planning, leadership and business development. He often facilitates leadership teams through strategic processes in creating cultures where strategy, mission and human values work together to cultivate empowering environments. As an educator, James has conducted numerous research projects on leadership and how to create cultures that invite deep learning. He has led innovation teams through design and implementation phases to cultivate enriching learning environments through integration of learning pedagogies and technology. James’ current role as an Executive Leadership Coach and Strategic Team Lead for ALIVE in Healthcare offers a rich expertise in research-based projects, action-oriented strategy, implementation, and evaluation. He believes that a culture of leadership is key to a successful workplace leading from humanity. 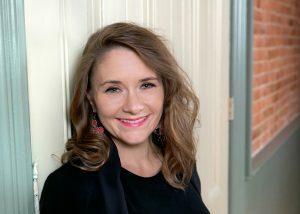 Casandra’s fusion as a strategic thinker and listener along with her ability to get to the heart of the matter connects with anyone who has a desire to step into their spotlight. As a Certified Transformational Life Coach, she appreciates that a purpose-led life is about personal development, curiosity, courageousness and believing in oneself. Casandra comes with over two decades in strategy planning, assessment, implementation and evaluation. Her work with two private companies serving the non-profit industry focused on research, engagement, advocacy and fundraising campaigns as well as a consultant to select best constituent relationship management (CRM) platforms based on strategic plans, current needs and future growth. Her successes include working with Children’s Hospital Foundation, Multiple Sclerosis Society, Heart and Stroke Foundation, St Michael’s Hospital Foundation, Credit Valley Foundation, and Cancer Research U.K.
She completed a Masters of Science in Capacity Development and Extension focusing on social and environmental change processes involving communication, education, community engagement, leadership, technology and innovation. Casandra’s current role as a Leadership Coach and Strategic Team Lead for ALIVE in Healthcare offers a rich expertise in research-based projects, action-oriented strategy, implementation, and evaluation. She believes that building capacity amongst individuals is key to a successful workplace culture that leads from humanity. Anne is our Emotional Intelligence Specialist. Since 1999, Anne has worked closely with CEO’s, Executive Vice Presidents, Directors, Managers and their teams to achieve outstanding performance by enhancing their emotional intelligence. Anne has extensive coaching experience, business knowledge and leadership expertise cultivated over 25 years as a businessperson and entrepreneur. As a professional coach, with over 8500 hours of coaching, she has impacted hundreds of leaders to live a more fulfilled life. 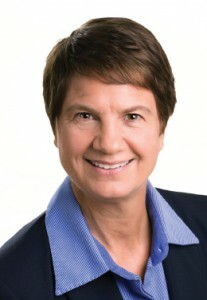 Anne was Vice President on the Board of Directors for the GTA Chapter of the International Coach Federation from 2005-2007. •Certified Emotional Intelligence instructor through Hay/McBer in Boston, the Emotional Intelligence Development Corporation in Montreal. •Adler School of Professional Coaching, Organization and Relationship System Coaching (ORSC) through Coach Training Institute by the Centre for Right Relationships in California. •Adler Workplace Coaching Program (train the trainer), Certified in Tilt 365. •Certified in Team Training Intensive and Team Diagnostic by Team Coaching International. •Certified in Myers Briggs Type Indicator, Level 1, Level 2 and Stressors with types. •Certified in Shadow Coaching by the School of Shadow Coaching in Ottawa. •Certified practitioner in Synergology (body language). •Studied Management and marketing at the University of Montreal. •Studied Information Technology at Control Data Institute. •Additional studies in nutrition, physical training, stress management and meditation. •Bilingual in French and English. 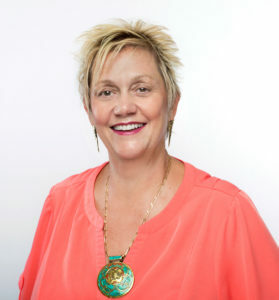 Liz is an ICF Certified Coach and Registered Nurse who helps people create the transformational change they desire in their lives through fostering their self-awareness and personal leadership. She is a fierce advocate for the power that Nurses hold in the health of our communities. She has also seen, firsthand, how often Nurses are held back by a sense of disempowerment and frustration with the systems and circumstances they work in. Liz started her Coaching practice in 2015 after spending a decade working as a Registered Nurse in a variety of fast-paced settings. She now works to make a greater difference by developing more conscious and responsible leaders in our healthcare system and in our world. 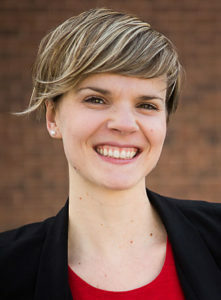 She holds a Masters in Nursing from the University of Toronto, is a graduate of the Co-Active Leadership Program from the Coaches Training Institute, and a Certified Professional Co-Active Coach (CPCC). In addition to her private coaching practice, Liz coaches with, and facilitates, the Nursing Leadership Circles© with ALIVE in Healthcare.